Katey Schultz is a resident of Burnsville and a writer. Or perhaps I should say she is a writer and a resident of Burnsville. 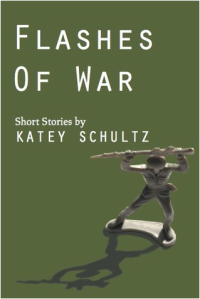 "Flashes of War" by Katey Schultz is indeed about war, but not in any sort of conventional way. I likely would not have seen it at the bookstore and "jumped" on it as something to read for the pure pleasure of reading. But I know better now. Interview with Burnsville resident Katey Schultz about "Flashes of War", a finalist for Literary Fiction by the Military Writers Society of America.